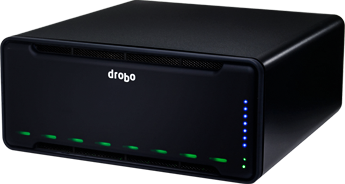 Ensure power is not connected to the new Drobo. Insert drives with the top labels facing towards the capacity lights. Note: Any pre-existing data on the drives will be erased. The Drobo should be powered off during this process. If you have any data on the drives that you need, please copy the data off. 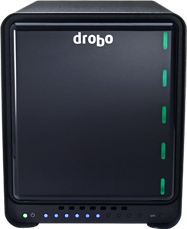 The Drobo will erase any existing data. 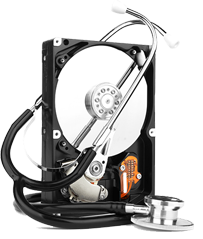 To find a list of recommended drives Click Here. To watch a video on how to properly insert the drives Click Here. It does not matter which slot you insert the drives into, just make sure the drive is securely seated. 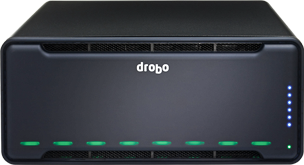 Note: If meant to do a data migration, please select the “Back” button and on the previous page and select “Yes” when it asks are you doing a Drobo Migration.